What’s the Secret of A Stress Free Christmas? Christmas – It’s the Most Wonderful Time of The Year, isn’t it? Except when it isn’t, because despite trying to enjoy the festivities you’re finding the whole experience stressful. You want to enjoy a stress free Christmas this year? 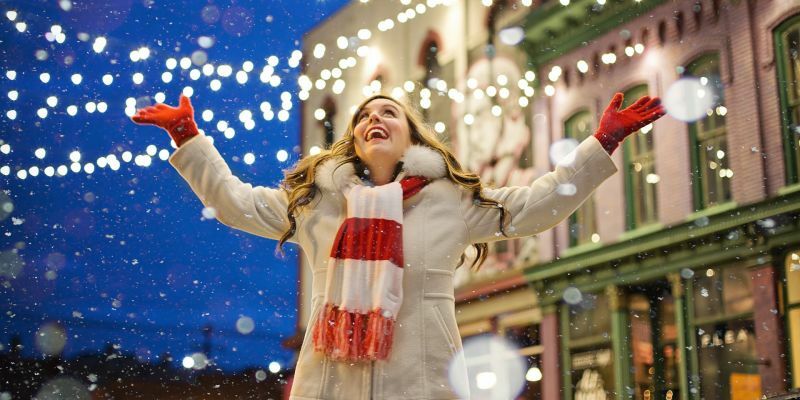 Read on to find out how to avoid the most common causes of Christmas stress and discover the secrets of having a stress free Christmas. What are the main sources of our Christmas Stress? Year on year, surveys churn out statistics about how stressed we are at Christmas, and what causes that stress. So let’s start by looking at the key culprits, that appear in list after list, year after year. It may be December, but of course normal life and work doesn’t stop, we just add more and more in at this time of year. With so many things to do, feeling you can’t cope with it all and worrying you’ll run out of time is a key cause of stress at Christmas for many. The Money Advice Trust and National Debtline have found that only 36% of people feel well prepared for the cost of Christmas and less than a third of people have a budget that they try and stick to. With one in three people borrowing money to pay for it, and 22% of people even putting Christmas food on credit, worrying about how you’ll afford Christmas is a key source of stress in December. And worrying about how to pay off the credit cards when you’ve spent more than you’ve got keeps the stress going well into the New Year. A survey by the Royal Society for Public Health last year, found that family arguments have the biggest negative impact on our wellbeing at Christmas. People often feel the pressure to have a perfect family Christmas….when the family and relationships within it are far from perfect the rest of the time. Both the anxious anticipation about how to cope with this, the worry about what will happen and how to try and stop it from happening, and the reality of facing arguments when you’re all cooped up together can be a key cause of Christmas anxiety and stress. Presents that match what’s on everyone’s wish list and more? Check. Not to mention a perfectly clean house and well behaved children. I’m exhausted just thinking about it, not to mention wondering how much this is all going to cost (see above). And the ultimate irony is that perfect doesn’t exist. Your idea of perfect and someone else’s will be totally different. 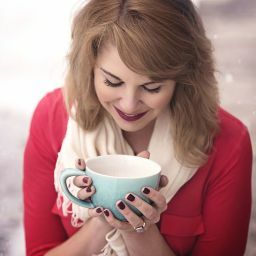 While you’re busy trying to create a “perfect” instagram-worthy Christmas that will wow everyone, if you’re actually feeling stressed about it – what’s perfect about that? Crowds, finding a parking space, feeling cold and then hot as you move from outside to heaving store, sore feet from traipsing backwards and forwards, alleviating the worst of it with some lunchtime alcohol…it’s hardly surprising that Ebay’s survey found that Christmas shoppers’ heart rates increased by 33% on average. That’s similar to the increase experienced while running a marathon. About as far from any definition of a stress free Christmas as you’ll get, in fact. Are you making assumptions about what’s needed for a truly happy Christmas? Try this. Spend a few minutes imagining a really happy Christmas. Go on – really think about it. See it, hear it, feel it, experience it. Make that vision really big and colourful, bring it alive in your mind’s eye. What did you think about? What was happening? Which features of Christmas seemed most important? What was really great about it? Why were things going so well? And what didn’t you notice? What wasn’t present in your Christmas vision that you’re busy assuming is needed? Which of the things you’re worrying about aren’t actually as important as you thought? If you absolutely had to choose only one aspect of Christmas, and weren’t able to have any of the others, which would you choose? If you were told you had to give up one aspect of Christmas for the next ten years, which would you give up? What do your answers to these questions about how you see your really happy Christmas tell you about what you could do (or not do) to create something closer to a stress free Christmas? How much you spend on Christmas is your choice. There’s no right or wrong amount. But if worrying about money is a key cause of your Christmas stress, making a definite decision about what is affordable and what isn’t, about where you will spend the money you have and where you won’t (before you spend it) is key to having a stress free Christmas. How much can you afford to spend on Christmas overall? Are you prepared to use credit cards, or not? If so, how much can you afford to pay back easily and quickly in the new year? Set yourself a limit. Once you’ve got an overall figure in mind, break it down. Think again about what you saw when you visualised that really happy Christmas. What is it most important for you to spend your money on over Christmas, to have the kind of Christmas you want without spending the next six months paying for it? And what doesn’t matter so much to you? When it comes to presents, what makes the biggest difference to your recipients’ happiness? How much does it matter if they get everything they asked for or not? Do you have to spend the same amount on everyone? Why? What will happen if you don’t? What are you assuming about the presents you feel you need to buy? Are those assumptions facts…or just assumptions? What’s the worst thing that can happen if you spend less? How much difference will this extra cost actually make to the overall success of Christmas? What will happen if I don’t spend it? What won’t happen if I don’t spend it? Christmas will be long forgotten by February. How might it feel to have some money to spend on something then instead? If it’s good enough for Santa (he makes a list, and he checks it twice, remember), it’s good enough for me. If your Christmas stress is made worse by that feeling you’re going to forget something, or will run out of time, then getting as much of your thinking and planning out of your head and onto a list, will help your brain to relax so you can create a stress free Christmas. List the lot. Using categories will help (it doesn’t matter what the categories are, as long as they make sense to you). Try using Trello to create your lists, and tick things off as you go. You can even share your Trello list with others so they can see what still needs to be done and tick off items they’ve sorted too. 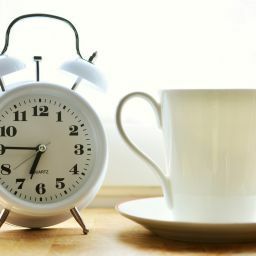 While we’re on the theme of lists, if you’re hosting Christmas Day and are in charge of getting lunch ready, that can be a major cause of stress, particularly for a less experienced cook, so make a list of timings for the day in advance, then you don’t have to do too much thinking on the day itself. You don’t have to wait until Christmas Eve to make your list – you can do it any time in December. 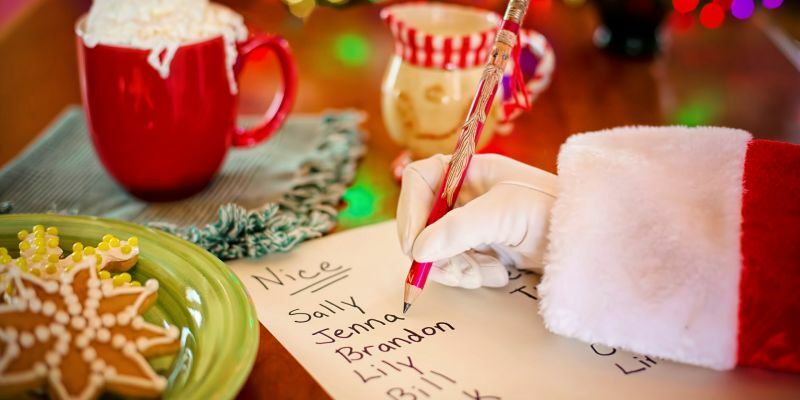 And then, once the turkey’s been eaten and the washing up done, put your list away in a safe place where you can get it out again next year – and you’ll have one job already ticked off! Unless doing it all by yourself is actually what makes Christmas great for you, if you want a stress free Christmas it’s time to lighten the load by asking for help. 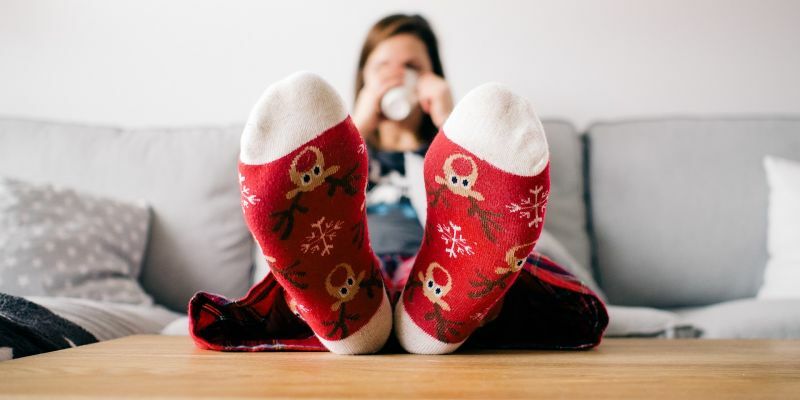 A survey by pollsters Ipsos Mori in the run up to Christmas 2014 found that 27% of women felt stressed about their preparations for Christmas – yet only half this number of men felt stressed by it. And a similar finding was reported by Ebay last year, when they found that 67% of women found Christmas shopping a pressure, compared with 56% of men. When it comes to shopping for gifts, it’s often the women who do the thinking, planning, decision making and shopping for presents – even for their partner’s family members. Even if you only share and get help with part of this process, it’ll reduce the number of things on your to-do list. So aim to get the men in your life (and your children, if they’re old enough) more involved this year – give them a list of gifts to be responsible for, a date by which they need to be bought and then book an evening in together over a bottle of wine to share the wrapping. If you’re hosting over Christmas, ask your guests to chip in in some way too. Whether it’s bringing the crackers, a pudding or even a whole meal, helping to prep the veggies, lay the table, or organising something to entertain the family, if it gives you one less thing to think about that can only be good for your stress. Keep hold of tasks where you really care about how they are done, and get help with the rest. Worried it’ll make it look like you can’t cope, or that others won’t want their Christmas ruining by having to actually do something towards making it special? Then it may be worth remembering that research has repeatedly shown that helping others is a key source of happiness. So asking people to help you may actually help spread the Christmas joy as well as the load. If you can’t avoid being stuck in family situations that may cause temperatures to overheat and stress levels to overflow, how can you manage this better? First, try and remember that all-important sense of perspective: it’s just one or two days, you can and will cope. This too will pass. Second, have an escape plan. Even if it’s only for half an hour, what will you do or where will you go to find yourself some time and space to regain some calm for yourself? A nice warm bath (behind locked door, of course), with some deliciously decadent bubbles that you’ve bought just in case? Or perhaps a pre-agreed code-worded text to a friend so they can call you back with an “emergency”, which means you need to go and meet them for an hour to help them? It could be a brand new book or magazine, stashed under your pillow for a few minutes of quiet time hiding out in your bedroom. Or maybe just a strategically placed pair of wellies so you can get out into the fresh air for a walk before anyone’s really noticed that you’ve gone. Decide in advance, so all you have to do if you feel the need is put it in action. Third, if it all starts to get too much or you can feel an unwanted row bubbling up as a result of rising stress levels, stop and ask yourself what you actually want to happen. Give yourself a chance to think and make a choice about what to do that will be helpful to you rather than acting on impulse in a way that may make you feel worse. You’ll find some more tips to lower your stress quickly over the festive period in this blog post. If you’re at that stage where you will try anything to give you the best chance of having a stress free Christmas, research from the University of Surrey found that having exposure to the natural environment within your home can help reduce stress…so try investing in a real Christmas tree, a holly and ivy wreath and a big sprig of mistletoe to decorate your home this year – after all, anything is worth a try, for a stress free Christmas right?! 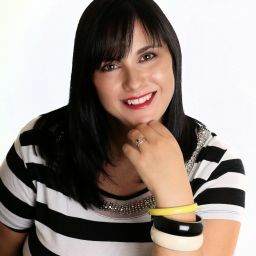 I’m Jo Lee, the No Stress Success Coach. I help ambitious people to enjoy their work and home time more by achieving more success with the things they want, without feeling stressed (all year, not just at Christmas!). So they feel balanced, not burned out. I offer face to face stress management coaching, work life balance coaching and career success coaching in Leicestershire, Derbyshire, Staffordshire and Birmingham and telephone or online coaching across the UK. 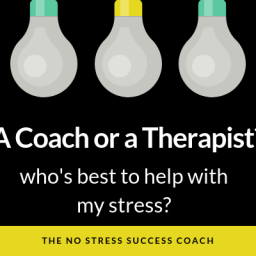 If anything in this blog post resonates with you, and you’d like to find out more about how coaching works to help you manage stress or what coaching with me might be like, please get in touch for an informal chat or to arrange a free initial consultation.